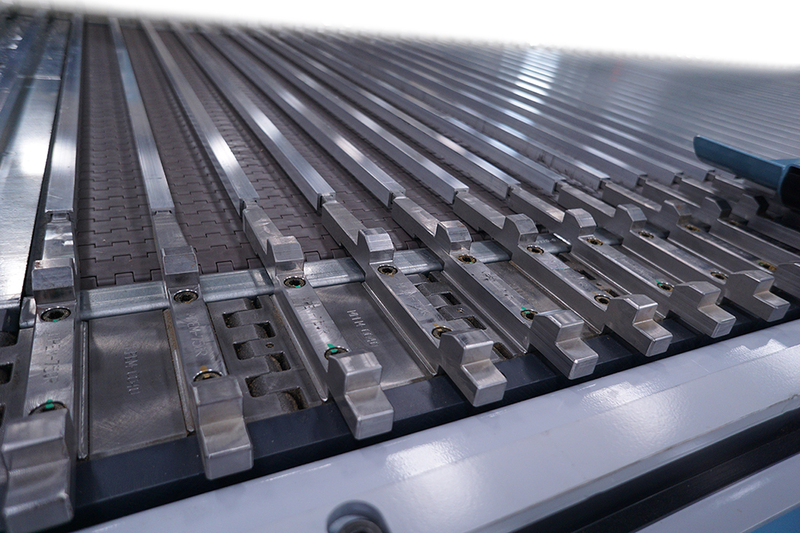 Adding the HASKO MPEM-TF End-Matching System to truck-flooring manufacturing lines greatly improves throughput and quality reducing labor. That’s why the top performing truck-flooring lines in North America run the HASKO MPEM-TF System. 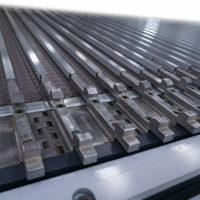 The HASKO MPEM-TF system is configured for end loading of truck flooring blanks in pre-defected condition. This configuration allows the material to be end loaded with enough space for up to (2-3) people to insure proper orientation of the blanks before the even end station. 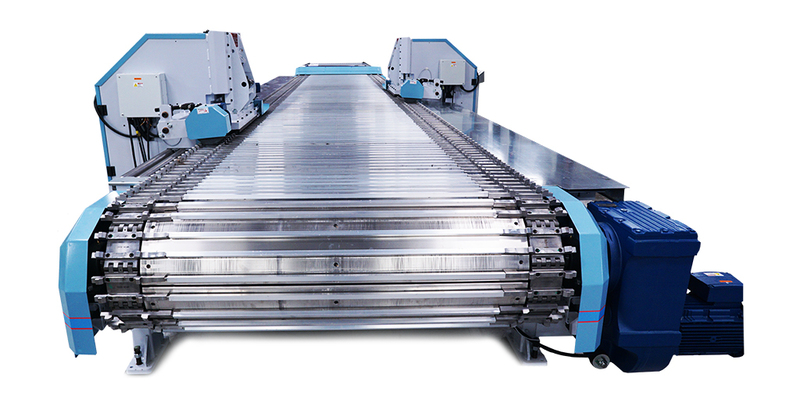 This machine is the leader for efficient runtime and maintained accuracy in automated truck flooring manufacturing. Both units will have climb cut trim units that are used a combo trim and pre-cut for hook. Both units will have a second spindle top or bottom as required for finished hook profile. All spindle units are individually adjustable in X and Y directions for “On-The-Fly “adjustments. All spindle motors are High Precision Perske motors with spindles configured for hydraulic tooling adaptors. 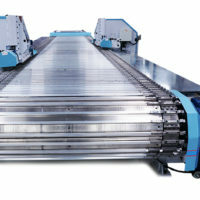 All spindles are inverter controlled and safety interlocked through PLC and touch pad operator.